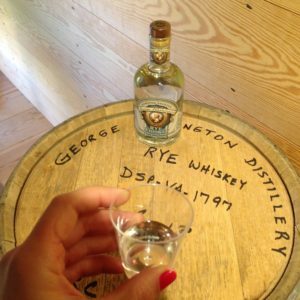 Did you know that the Allegany Museum, and our annual George Washington Whiskey rebellion Fest, are on the Distilled Spirits Council’s American Whiskey Trail? The American Whiskey Trail is a tourism initiative of the Distilled Spirits Council, its member companies, affiliate members, and Historic Mount Vernon. The Trail is an educational journey into the cultural heritage and history of spirits in America. We lead the list of historical sights on the Trail. Our listing says that Cumberland and Allegany County have been a center for whisky-related history for centuries, and that Allegany Museum plays a major role the life of the community through exhibits documenting the cultural and natural history of the region. Get on the trail and enjoy the Museum’s annual Whiskey Rebellion Festival during the second weekend of June. ← How could you miss this?